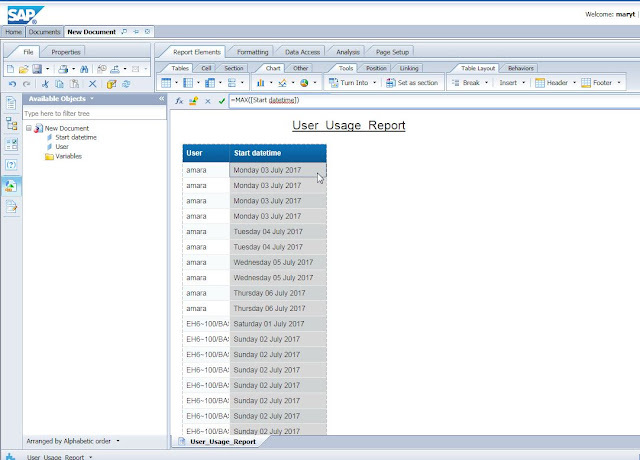 Just recently, I was tasked to develop a Business Objects Webi report that displays the list of all users within the system along with their last login dates. As simple as this project may sound, it involved some crucial steps and tweaks to the SAP BO Audit universe that is provided by SAP. In this blog, I will share information on how I was able to successfully accomplish my goals for creating this Webi report. I was working with SAP BI 4.1 sp6 with a SQL server database back-end for storing the infostore and audit data. Please ensure that Auditing is turned on within CMC with the database connection pointing to the appropriate AUDIT database. If you skipped the AUDIT database creation during the install, you just need to create a new audit database and fill in the database details within the Audit configuration screen in CMC and the system will automatically create the necessary audit tables for storing audit information. Step7: To convert date formats Select “User last Accessed” column->Select “Formatting” tab->Select “Numbers” sub tab and then select required Date format..
First of all, it is a nice blog. The thing is you cannot list all users and reports in the system using Auditing DB if the user is created before you create Audting DB and s/he has never been logged in to the system or nothing has done on the object. This is the case for all objects in the system if Auditing DB is created after the creation of the objects in the system. Instead, Admin Tools (Query Builder) or CMS database universe can be used for this. Regarding the Users, what you explained is correct. 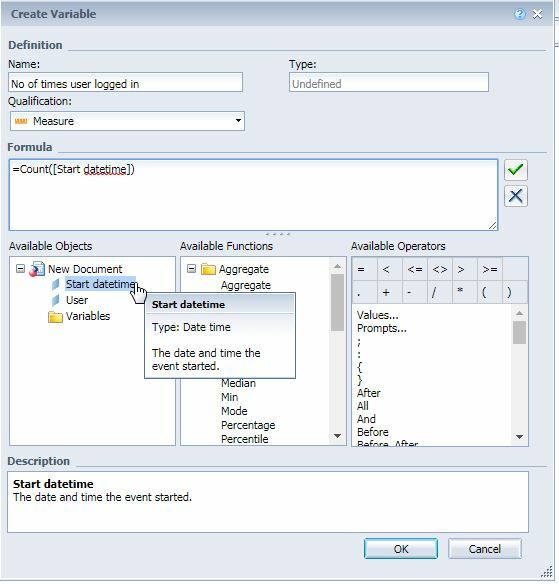 Just you can add Event type in the report and validate.If you need only login count add the event type = Logon filter.